"Linda has been a cornerstone contributor to the development of Oregon’s entrepreneurial ecosystem and a shining light of our business community for nearly 20 years." 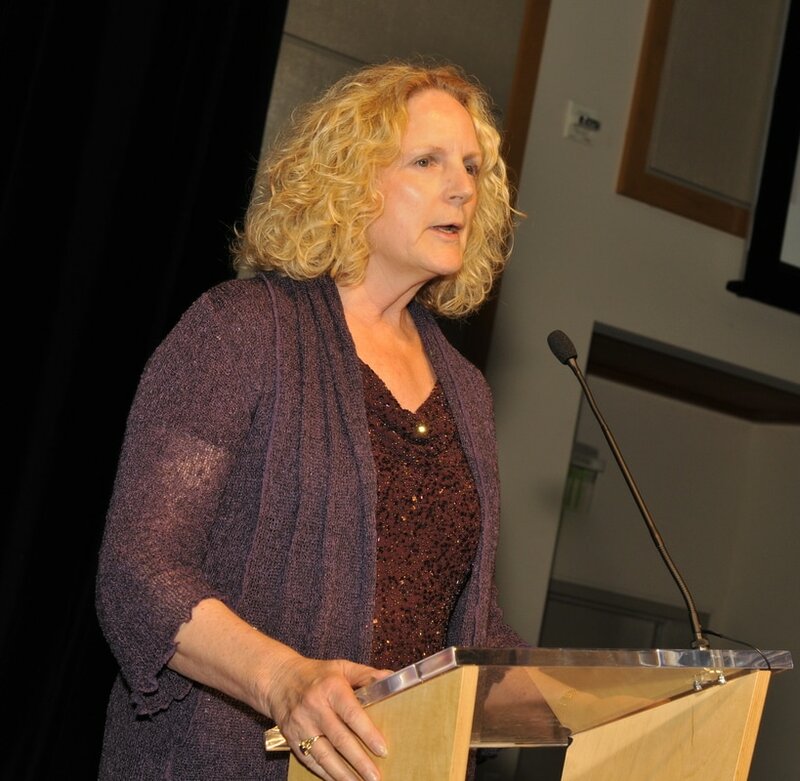 "Linda’s positive influence on the growth and evolution of the Oregon entrepreneurial community is second to none. Over the last 17 years, as the President and Executive Director of the Oregon Entrepreneur Network, she has greatly impacted and stimulated the ecosystem of early stage companies and investors. Linda’s ability to foster collaboration between the OEN board of directors and the broader OEN community helped to create our vibrant startup community. During her tenure Linda was able to expand the charter of OEN to include other important vertical markets and geographies statewide. Through Linda’s management of the OEN programs and her ability to fundraise she leaves the organization in a very strong position to thrive in the future." "Linda's sterling leadership of OEN and its success over the past 17 years under her stewardship have been a clear reflection of her keen understanding of the keys to non-profit success: a well-chosen, well-vetted, well-recruited, and diverse board; a clear vision that a board (and the organization's membership) can rally around; sound operating strategies that reflect the overall mission and attract new members and volunteers to the cause; and funding plans and budgets that are clear-eyed, achievable, and sustainable for the long haul. She's done all that while at the same time being a bright and shining light for the Oregon entrepreneur, leading in the best way possible: tirelessly and joyfully, and getting a heck of a lot done, and making a huge difference, in the process." "Linda is a thoughtful connector who is eager to help people be successful. When I told her about the challenges I was having as a new business owner, she listened carefully and offered several suggestions about individuals with whom I should connect. Within 24 hours, she sent eight powerful introductions - the ripples of which continue to positively impact our company a year later. Linda is strategic and works hard to help those she assists shine brightly. Seize any opportunity to work with her!" "There is no greater advocate for entrepreneurs and thriving entrepreneurial ecosystems than Linda Weston. A natural connector with a vast and diverse network, she has helped countless companies like mine find mentorship, resources, and the expertise they need during critical times of growth. Under her leadership at OEN, the region's opportunities multiplied and were made accessible to the next generation of entrepreneurs. She brings decades of experience crafting strategy and forging partnerships. Her approach is rigorous, thoughtful, empathetic, and solutions-oriented. She is authentically invested in your success every step of the way." ​"Linda Weston is nothing short of amazing. She will connect you to folks who will offer you guidance and support. She seems to know everyone. What makes the connections unique are the care and thoughtfulness she puts into them. She leaves both parties curious and there is an established trust with the people she connects you to - just by her being the bridge. Linda has provided VoxSiren advice and challenged us. She pushes back in ways that do not tell you what to think but instead make you think." "Linda's exposure to the broadest array of business strategies and plans, her work with the widest range of entrepreneurial professionals, and her leadership of the Oregon Entrepreneurs Network have uniquely prepared Linda to contribute valuable insights to strategic business planning and recruiting efforts for all sorts of organizations. Linda is a tireless supporter of those who take the risk to build businesses, and an unfaltering promoter of diversity of every sort. She leads with generosity, humility, and grace, bringing both her smile and her intellect to every engagement, encouraging others to put their best foot forward and supporting them with love and respect through the inevitable tribulations."